The term “minority” is applied to various groups who hold few or no positions of power in a given society. The term minority doesn’t necessarily refer to a numeric minority. Women, for example, make up roughly half the population but are often considered a minority group. Affirmative action refers to policies that take factors, such as race, religion, sexual orientation, or national origin into account in order to benefit an underrepresented group. affirmative action: A policy or program providing advantages for people of a minority group who are seen to have traditionally been discriminated against, with the aim of creating a more egalitarian society through preferential access to education, employment, health care, social welfare, etc. minority: Categories of persons who hold few or no positions of social power in a given society. In the social sciences, “minority” does not just refer to a statistical measure and can instead refer to categories of persons who hold few or no positions of social power in a given society. Sociologist Louis Wirth defined a minority group as “a group of people who, because of their physical or cultural characteristics, are singled out from the others in the society in which they live for differential and unequal treatment, and who therefore regard themselves as objects of collective discrimination. ” This definition includes both objective and subjective criteria: membership of a minority group is objectively ascribed by society, based on an individual’s physical or behavioral characteristics, such as ethnicity and race or gender and sexuality. It is also subjectively applied by its members, who may use their status as the basis of group identity or solidarity. Minority group status is also categorical in nature: an individual who exhibits the physical or behavioral characteristics of a given minority group will be accorded the status of that group and be subject to the same treatment as other members of that minority group. Every large society contains ethnic minorities: subgroups that share a common heritage, which often consists of a shared language, culture (often including a religion), or ideology that stresses common ancestry or endogamy. In this case, while minority status can be conditioned by a clear numerical difference, more significantly it refers to issues of political power. In some places, subordinate ethnic groups may constitute a numerical majority, such as blacks in South Africa under apartheid. In addition to long-established ethnic minority populations in various nation-states, ethnic minorities may consist of more recent migrant, indigenous, or landless nomadic communities residing within, or between, a particular national territory. Recognition of lesbian, gay, bisexual, and transgender people as a minority group or groups has gained prominence in the Western world since the nineteenth century. The abbreviation “LGBT” is currently used to group these identities together. The term queer is sometimes understood as an umbrella term for all non-normative sexualities and gender expressions but does not always signify a minority; rather, as with many gay rights activists of the 1960s and 1970s, it sometimes represents an attempt to highlight sexual diversity in everyone. While in most societies the numbers of men and women are roughly equal, the status of women as a oppressed group has led some, such as feminists and other participants in women’s rights movements, to identify them as a minority group. Persons belonging to religious minorities have a faith which is different from that held by the majority population or the population group that is in power. It is now accepted in many multicultural societies around the world that people should have the freedom to choose their own religion, including not having any religion (atheism or agnosticism), and including the right to convert from one religion to another. However in some countries this freedom is still either formally restricted or subject to cultural bias from the majority population. The disability rights movement has contributed to an understanding of people with disabilities as a minority or a coalition of minorities who are disadvantaged by society, not just as people who are disadvantaged by their impairments. Advocates of disability rights emphasize differences in physical or psychological functioning, rather than inferiority: for example, some people with autism argue for acceptance of neuro-diversity, in the same way in which opponents of racism argue for acceptance of ethnic diversity. The deaf community is often regarded as a linguistic and cultural minority rather than a group with disabilities, and some deaf people do not see themselves as having a disability at all. Rather, they are disadvantaged by technologies and social institutions that are designed to cater to the dominant, hearing-unimpaired group. Affirmative action is a controversial issue, which refers to policies that take factors including race, religion, gender, sexual orientation, or national origin into consideration in order to benefit an underrepresented group. This is usually justified as countering the effects of a history of discrimination. Affirmative action can, for example, take the form of a government program to provide immigrant or minority groups who primarily speak a marginalized language with extra teaching in the majority language, so that they are better able to compete for places at university or for jobs. Ethnic Minority Disparities in Cancer Treatment: Illinois Congressman Jesse Jackson discusses minority health research at the National Institute of Health. 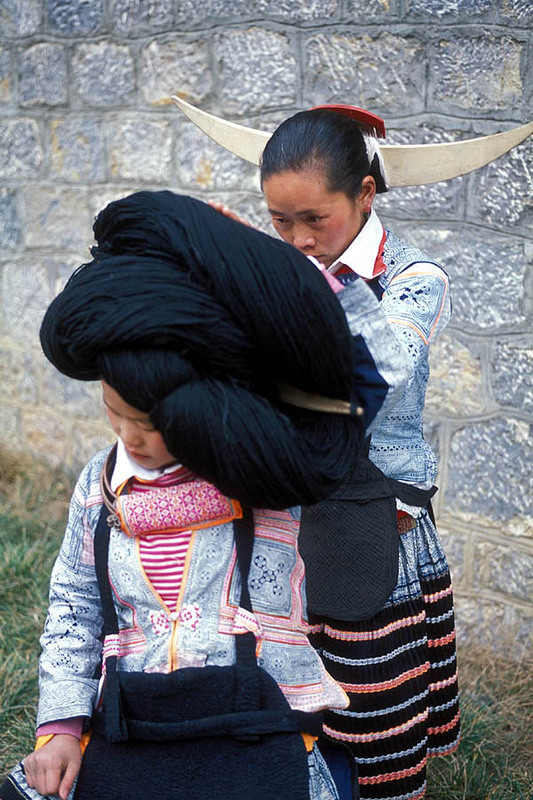 Members of the Long-horn Tribe: This tribe is a small branch of ethnic Miao in the western part of Guizhou Province, China. In addition to their small numbers and distinctive ethnicity from the larger Han Chinese majority, they are considered a minority given their relative lack of power in China’s larger political structure.